Merrimack Village Condos North Andover MA is located on Turnpike Street also known as 84 Compass Pt, Meridian Way, Cardinal Pt, Windrose Way which are right off of route 114 right on the Middleton line abutting 7 acres of conservation land. There are 49 townhouse style condos in this community. The condo fee is $240 per month and it covers master insurance, exterior maintenance, road maintenance, landscaping, snow removal. 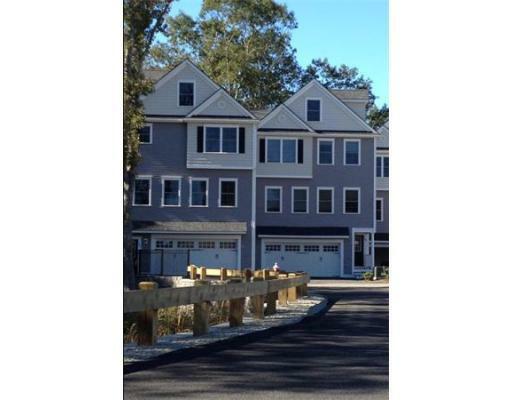 Merrimack Village Townhouses consist of 3 bedrooms, 2 1/2 bathrooms and range from 2,175 – 2,380 square feet. Features include an open floor plan, central a/c, master bath, gas fireplace, hardwood and wall to wall carpeting, balcony, deck with slider, and granite counters.